Former Westport and Weston resident Greg Naughton, son of two-time Tony winner and screen star James Naughton, is following in his father's footsteps. Though not Broadway-bound, he has the same love for performing as his dad. Inspired by his father and influenced by his vast record collection, Greg Naughton pursued a career in music. 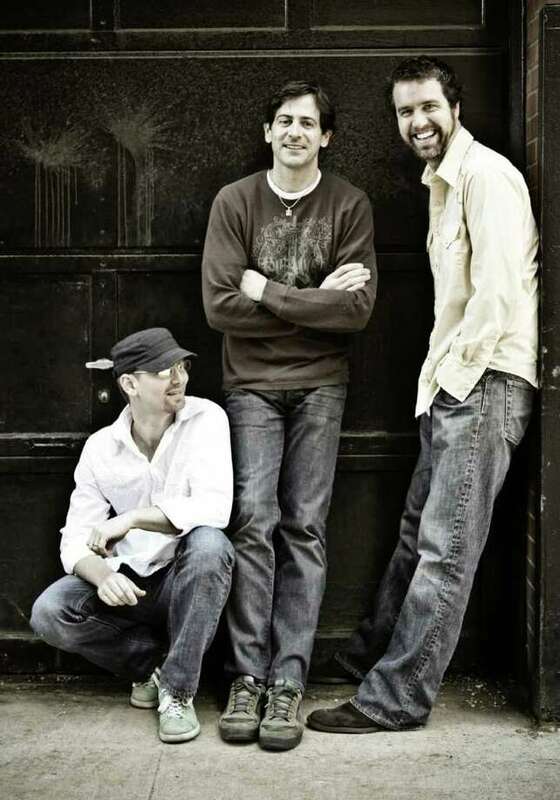 The former Westporter and Westonite, now living in Westchester County, is one-third of the nationally touring acoustic folk-rock trio The Sweet Remains, scheduled to play Fairfield Theatre Company's StageOne on May 21. The night will include a roster of local "all stars" and one of them is Greg Naughton's father. Greg Naughton expects to be much more calm than when he and his dad played the East Room of the White House for PBS' "Live from the White House" back in 1998. "That was the most nervous I've ever been," said Greg Naughton, who noted he couldn't be backstage before the performance. The Clinton family was in front of him, Colin Powell was also in the crowd, five PBS video cameras filmed everything, and Naughton's nerves kept building. This time around however, he and his band will be the headliner and there won't be a President sitting in the audience. But it will be a family affair, what with the two Naughtons, as well as Greg Naughton's wife, Kelli O'Hara, a three-time Tony Award nominee, on the bill, and quite possibly, Greg Naughton's sister, Keira Naughton, who has numerous Broadway, Off-Broadway and regional credits. A ton of family and friends will also help fill the 200-plus seat venue. "The goal is to have a good time," Greg Naughton said. "Singing with my dad, wife and family is always a lot of fun." Greg Naughton was a solo musician before he, Rich Price and Brian Chartrand first performed together in 2007 (then known as RGB). He didn't much enjoy traveling to gigs and traversing states alone, though many musicians do. "I kind of like having someone to talk to, to hang out with," he said. Highly influenced by Crosby, Stills & Nash, as well as groups like Simon & Garfunkel and Fleetwood Mac, The Sweet Remains differ from modern-day folk rockers like John Mayer and Jason Mraz in that they bring three-part harmonies to the table. "That's what makes us interesting and different," Greg Naughton said. "Also, the interaction of the three personalities. There's a whole lot of humor involved." Since forming, two members of the trio, Greg Naughton and Price, have experienced the joy of fatherhood. Not wanting to miss their children for weeks on end, they've been doing short tours the last couple of years. Naughton's son, Owen, is 22 months old. Price's oldest is approaching 3 years of age. The trio is scheduled to play New York City's Rockwood Music Hall one night before its Fairfield gig, but there's nearly a month break before a June 17 show in Burlington, Vt.
"Being away from [Owen] for more than several days is drastically painful," Greg Naughton said. "The longest I've been away was two weeks. It almost killed me." Shorter tours are also the future because "traditional income places are lagging," Greg Naughton said. An independent musician can't expect to make what he might have on a long tour years ago, before the recession hit. And so members of The Sweet Remains look to other avenues to earn income. Naughton said their song "What I'm Looking For," off their 2008 album, Laurel & Sunset, is currently featured in a Subaru commercial. "I've never seen it," he said. "I think it's being shown in the States, but what I have paid attention to is the fact they've sent us checks." Greg Naughton, Price and Chartrand are currently working on their second album and would love to be featured in more commercials. Until that day comes however, they work hard to stay afloat, and sometimes agree to do weddings even though they're really not a wedding band. In fact, a super fan has hired them to head west in October, according to Greg Naughton. Even sometimes when it's agreed upon that they'll perform their songs, and not wedding songs, the wedding crowd will demand dance music, and the trio must do its best to deliver. Members sometimes have to do non-musical work to get by. Earlier in his muscial career, Naughton found work with an arborist who also happened to be a musician. But now he's an arborist himself. Lucky for him though, since his passion is music, he hasn't had to get up in a tree for some time now. Being a musician, you have to roll with the good and the bad. And the good, Greg Naughton said, definitely outweighs the struggle, the need to hustle to make ends meet. "One of the most gratifying things that keeps me going is when a fan tells me, `I used your song for our [wedding] dance,'" he said. For a band that isn't even on a major record label, news like that is truly inspiring. "It entirely validates what I'm spending my time doing with my life," he said. 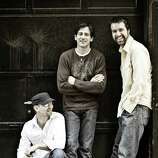 For more information on The Sweet Remains' upcoming appearance at FTC's StageOne, log onto fairfieldtheatre.org.